Where do I start with such a thought provoking title? Christianity, for the most part, is deemed as “a monotheistic system of beliefs and practices based on the Old Testament and the teachings of Jesus as embodied in the New Testament and emphasizing the role of Jesus as savior.” Christianity starts with an individual first believing and accepting Jesus Christ as their Lord and personal savior – believing in His core teachings of love. This is where things start to get a little tricky – Christians are usually encouraged to fellowship with other individuals to share the experiences of life through Christ. During the fellowship process, Christians first find a “home church” to fellowship with. Based on the vision and strategy of the leaders, the Church serves different purposes for its members. For the most part, Christians are usually in Church on Sundays. A regular Sunday service comprises of Praises, Worship and the Word or Teaching/Preaching. The teachings also differ based on the denomination and core values of the Church and it is critical to the growth of the Church. Christianity as a whole should promote hand work, diligence, perseverance and love. But different facets of the diluted truth masked in “Christianity” can cause many problems including laziness. “Say It, Claim It and Receive It” teachings as well as the “Prosperity Gospel” can reek havoc if not taught properly along with the whole truth of Christ. I strongly believe that the tongue is one of the most powerful tools we have as humans – the Bible clearly supports this fact by stating that “Life and Death lies on the tongue”. We use our tongue to praise, give compliments, encourage and uplift people – with the same token, we use our tongue to condemn, rebuke and sometime destroy others. In the Biblical and spiritual concept, I believe in speaking good things into your life and the lives of others but most importantly, I believe in working towards whatever you say in your life with prayer, faith, but more importantly, hard work and perseverance. The “Say it, claim it and receive it” gospel with no regards to the whole truth of the Gospel can make an individual believe that all they have to do is say something and magically, whatever they say will manifest in their lives. An individual trying to lose 20 pounds for health reasons can’t sit in the Church and say “I claim it.. I receive losing weight” and expect to lose weight without adhering to some form of exercise consistently. Jesus is not in the miracle business for your comfort – but for the kingdom. The Prosperity Gospel follows the same trend. Listen, I strongly believe that God can prosper and give you riches in abundance; but Prosperity Gospel alone without the sound principles of the whole truth of the Gospel in Christ can leave people disappointed in the Church, in God and in themselves. We can’t choose to damage the same people we are meant to help. Christ is enough. The Gospel based on Christ and love is what turns the heart of men and women. The Prosperity Gospel allows us to focus on ourselves alone instead on God and our neighbors – in my next post (Selfless Faith), I will expand on how we have become a selfish generation of Christians and how we can become selfless just like the Man we follow. If you pay close attention to the teachings of Jesus Christ, you will realize that Jesus was all about love and faith. He was about moving in faith through the vehicle of love. He did not only teach loving our neighbors, but extended it to loving our enemies. He extended our responsibilities as believers to a whole different level and He commissioned us to follow Him in faith. Faith requires hard work and requires a level of diligence and perseverance. It does not solely rely on “Say It, Claim It and Receive It” Gospel nor the Prosperity Gospel; but calls for “working out our faith with fear and trembling”. You might be motivated and encouraged by a Prosperity Message, you might say all the good things about yourself, claim all the great things wrapped in a particular message, but to be honest, without working out your faith in Christ, you might not receive whatever you are looking for. “One day Peter and John were going up to the temple at the time of prayer—at three in the afternoon. Now a man who was lame from birth was being carried to the temple gate called Beautiful, where he was put every day to beg from those going into the temple courts. When he saw Peter and John about to enter, he asked them for money. Peter looked straight at him, as did John. Then Peter said, “Look at us!” So the man gave them his attention, expecting to get something from them. Yes, Peter had no money but gave a word under the authority of Christ, but look at the bolded portion of the message: the man acted on faith.. He did not just sit and mope. He did not just sit to beg for more. 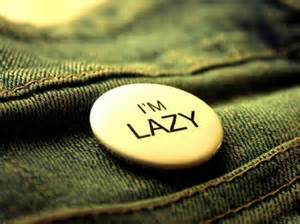 He did not just sit to be lazy, but he acted on his faith. With faith, he got a helping hand from Peter and INSTANTLY, his feet and ankles became strong and he jumped and began to walk. Some of us are like the lame man. 2,000 years ago, we were helped to be on our feet by the man who died a horrible death on the cross of Calvary but we are still SAYING that we are crippled only to RECEIVE the coins and change from the lofty words of PROSPERITY messages. All you and I have to do is get up and jump and run in faith in Christ Jesus. Christianity is not meant to make you lazy but rather, full of life for Christ in faith through love. Christ is indeed the Cornerstone. He is not enough, but rather, more than enough. Share this and Share your thoughts!